I love this meme. An opening may not make or break a book, but they are important. Especially for someone like me who needs an instant hook or else I might start looking elsewhere. Bones. Human bones the length of a man's thigh. I stopped short at the sight of more than a dozen of them stacked like cord of firewood just steps in front of me. I paused to catch my breath before heaving my shoulder against the thick wooden door for the third time. The sturdy threshold, reinforced with rust-covered strips of wrought iron, had withheld assaults by barbarian invaders throughout centures, so I didn't have much hope that it would yield to my slender frame. I don't know about you, but I'm hooked. Linda Fairstein opens her novel Night Watch with quite a jarring image. 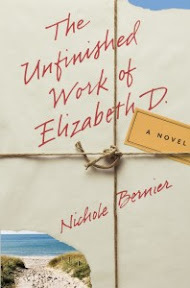 What book opening caught your eye this week? I distinguish my To Be Read (TBR) collection from my Wish List--one made up of books I own or have on hand to read, while the other is a list of books I want to read but do not yet have in my possesion. On Fridays, I offer a sampling of books that have been added to my Wish List. recommended by Lauren from Gimme More Books!!! Have you read any of those books? What books have caught your eye recently and made it onto your wish list? I have several of the same books on my wish list. Kathy - I will never have enough time to read all the books I want to read. Where is she trying to get to? All signs say don't go in. Very good beginning. I have not read reviews of any of these except Seraphina, and that one sounds very good to me. I am glad that you posted these here, because now I have a new set of books to look into for my own wish list! Nice picks! Yikes! That book sounds like it is going to be intense! Intriguing opening though. LibraryBaby - It was quite intense! It was a fun read. JC - It got me curious from the start. :-) Thanks for dropping by! Carrie - I hope so too. It sounds like such a good book! Thank you for recommending it! Your book beginning sounds like an adventurous, personal struggle! Descriptive words! Gemma - The book certainly has those elements! Thanks for dropping in and commenting! What a beautiful selection of books. And yes I will be hooked with an opening paragraph like that. Mystica - It's a very catchy opening, isn't it? 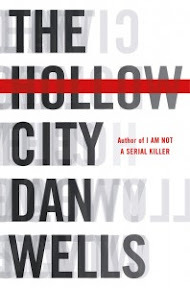 I just did a post of several non-fiction books I'd bought recently for my TBR pile :-) I do the same thing you do, separate one I own and want to read (TBR) and my wish-list, books that have caught my eye and I don't own and want to read. 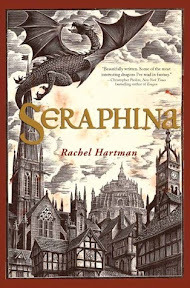 My wishlist is big, my TBR pile is big......I really want to read Seraphina, didn't Kelly do a wonderful job talking about it? My library doesn't have it yet, either :-( Interesting list of books you have here,too. You are the second blogger today to mention Frenchman's Creek. This is a DuMaurier that I haven't heard about before. I love her work and need to put this on my list. 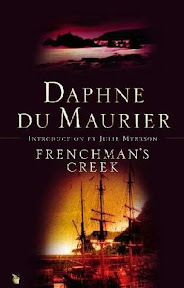 Kathleen - I hadn't heard of Frenchman's Creek before either. I have yet to read anything by DuMaurier, but I hope to someday change that. I loved The Stranger You Seek and will be reading Bridge of Scarlet Leaves within a couple of months. I hope you enjoy them all! 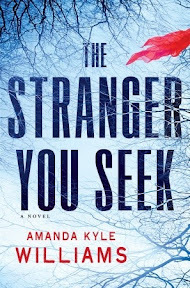 Joy - I am so glad to hear you loved The Stranger You Seek! That's one I really must buy soon. 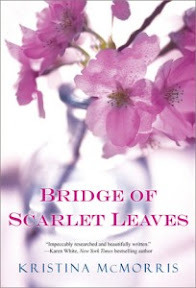 I look forward to reading your thoughts on Bridge of Scarlet Leaves.